To offer a fully complete supply chain solution, Humanitarian Software Foundation now offers a new and powerful tool to let you create interactive Customer Portals. Our Portal Builder combines the popular and easy to use WordPress front end with enterprise level secure backend data access. Customer portals are websites that offer your customers (clients, partners, vendors) real-time, 24/7 access to your host systems. This electronic gateway allows your customers to access records, update accounts, build orders, or do other data sharing operations over the internet via their web browser. While the actual possible applications are almost limitless, typical applications include online ordering, shipment tracking, customs document printing, Track and Trace data access, inventory search and allocation. The advantages are many. Not only is the time and effort of data entry moved from your staff to the customer, saving labor in your facility, but most customer now prefer to do tasks such as product searches or shopping on the web. Our solution consists of two main components: On the front end is a drag and drop set of plugins for WordPress that let you design pages with live data elements and lists embedded directly in them. On the backend is a secure RESTful data API engine which accesses data in your databases and builds and renders page content to be displayed and presented to your customer. 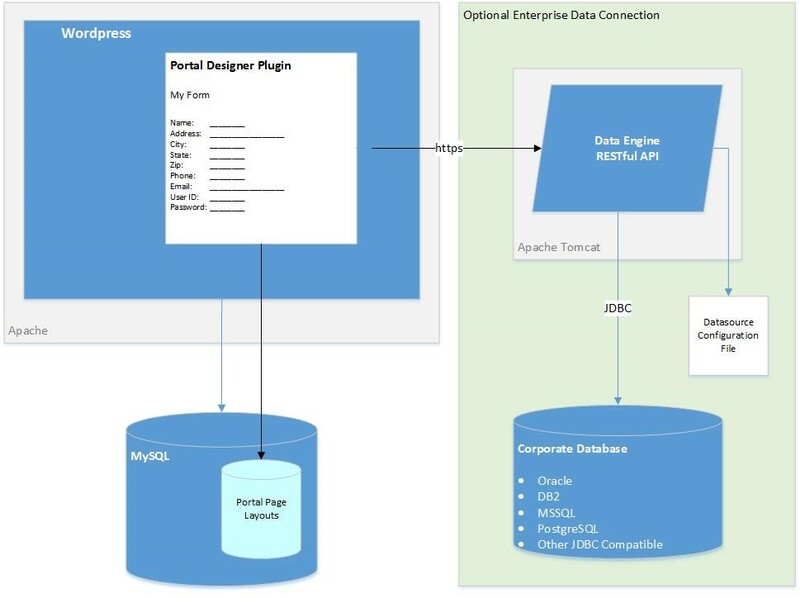 The architecture of our Portal Designer which utilizes our RESTful Data Engine API offers the best of two worlds. The immensely popular WordPress front end website platform and CMS coupled with a secure and separate data access backend. The RESTful Data Engine not only can access the full database and API of your HELM installation, but can access other legacy database systems. 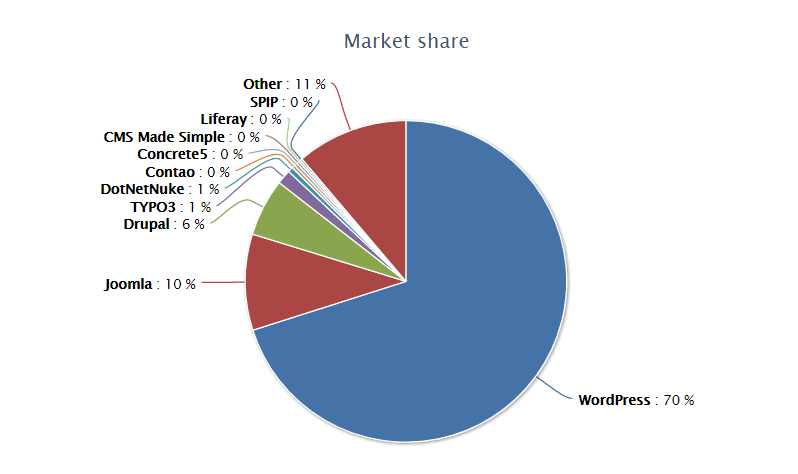 The choice to use WordPress as the front end tool was primarily based on the immense popularity of the WordPress platform. With millions of installations, and by far the largest market share of any CMS type website platform, no other solution comes close. With this popularity comes a plethora of choices when it comes to themes, temples, plugins, and other add in modules. Using the Portal Designer with your HELM system couldn’t be easier. When HELM is installed, the RESTful Data Engine API is automatically available. Your HELM system administrator simply grants access to the tables and procedures that you choose to use in your portal. Then the rest is done in WordPress. With your WordPress installation in place, simply add the Portal Designer plugin and you are ready to build forms and pages with the data from your HELM database.